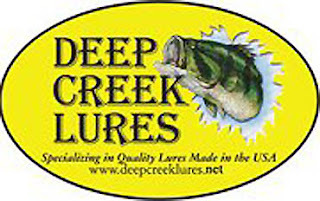 Recently I had the chance to team up with Deep Creek Lures and I was super excited for the opportunity. 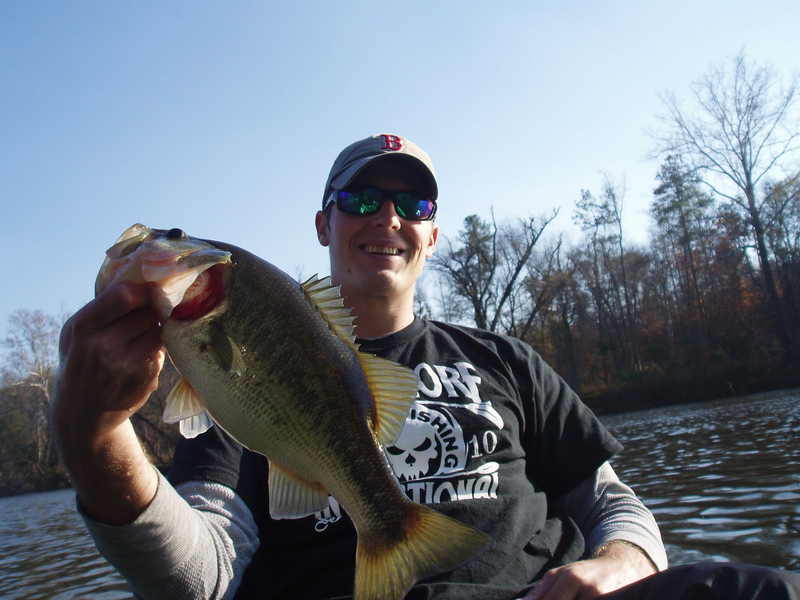 I have been fishing Deep Creek baits for the past few years and have had excellent results. Plus, they are a local company made up of great people. In this blog, I am going to talk about some of my favorite baits, colors, and presentations. Everyone has a bait or two that they can always rely on for a fish or two. For me, one of those baits is the 6" MT worm because of its versatility. I fish it on a Texas-rig, shakey head (Buckeye Spot Removers are my favorite), or Carolina-rig and it flat out produces. Particularly, if I am fishing in wood cover and the bite is slow (especially during cold spells) this worm seems to always help me land a fish or two. It comes in a bunch of different colors, but my favorites are natural colors like greens, browns, and blacks. The big brother to the 6-incher, this bait is my go to bait in 4 main scenarios. 1) Water temp is above 68 degrees and air temps are going from cold to warm. 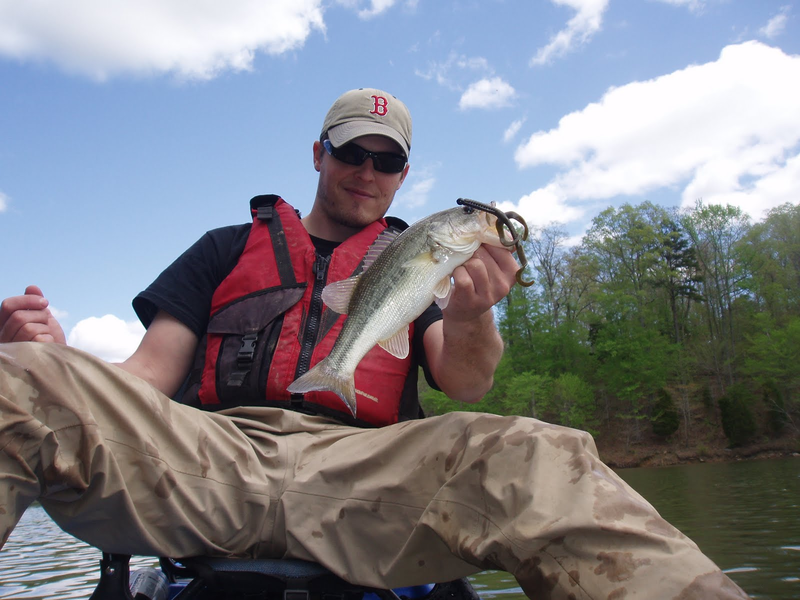 2) The worm bite is simply red hot and I can't keep small fish off the hook. One of my favorite local rivers gets this way sometimes and the big bait helps avoid some of the smaller fish. 3) I am fishing a lake that gets a lot of pressure. Most anglers don't throw big worms, so this is a different look for the fish and it often pays off. 4) I need a cull fish. It's simple, big baits help produce big fish. Again, I am going to be throwing natural colors that match forage and water color. I wrote a review on this bait when it was introduced last spring. Since then, I can't get enough. They have a great action and have been deadly on shakey head. I also like rigging them on a worm hook and inserting a peg weight into the body. It gives a slightly different look and falls extremely slow. The Shakey Worm spent about 30 minutes on a shakey head before I realized that wasn't its best use - at least not for me. The Shakey Worm will certainly attract a few fish on a shakey head, but it excels on a drop shot. It mimics small baitfish and has been dynamite fished around deep trees, bushes, and ledges. Pick a color that will match the baitfish on your body of water. This worm fishes a lot like a trick worm. It can be fished a number of ways, but I rarely rig it on anything by a shakey head. I like the bigger size at 6.5", but the smaller size will also catch 'em. I think a lot of times, anglers fish trick style worms too fast. Remember that fished slow they still produce a lot of action and will entice some of the lazier bass as well. This is my bread and butter bait. This is the bait I tie on if I want a check on tourney day. This bait is unique compared to most other stick worms. I have tried just about every stick worm out there and most are not worth your time. I know some people claim they are all the same, but if you really watch the baits in the water, you will notice big differences. The Sink & Catch falls slower than most stick worms and that helps it excel in shallow water and around spooky fish. It also makes it a great candidate to fish on a wacky style jig head in deeper water because the buoyancy of the bait helps offset the weight of the jig head. I have just recently started to experiment with this bait, but I am finding that it is very versatile. You can fish it on a drop shot, jighead, texas-rig, or as a jig trailer. The claws have a great action and that garlic scent...as soon as you smell it, you will know it works! Last, but certainly not least, is the Razor Beetle. If fishing heavy cover, I Texas-rig it and flip it. If fishing mixed cover, I fish it weightless. 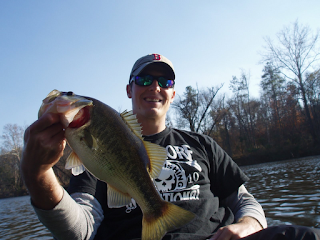 I even fish it on swimbait jigs. It is a big bait, so keep that in mind, but it definitely catches fish. The monkey grass and super bream colors will get it done! So, next time you hit the bait shop consider these great baits. In fact, just open a bag and I guarantee the scent will impress you. You can get them at a variety of bait shops in NC, VA, and other parts of the southeast. You can also order them directly from the website. If you have any questions, don't hesitate to give me a shout and I will pitch in my two cents. Until next time, tight lines! Just wanted to say great job with the blog today is my first visit here and I’ve enjoyed reading your posts so far.. This was nice post i really enjoyed it.Your suggestions are worth following.Good for all fishing lovers.